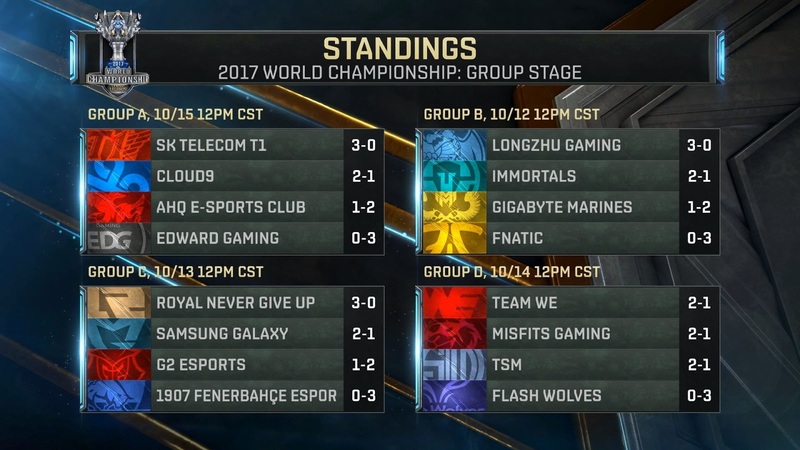 Worlds 2017 continues with the Group Stage! The Group stage, Week 2 runs from October 12th to October 15th. Worlds 2017 features 24 teams across multiple stages competing to be the World Champions! In the Group Stage, the 16 teams who qualified will be battling it out to become the World Champions! For a full rundown on Worlds 2017's multiple stages, check this article here! Worlds 2017 will be played on patch 7.18 with Ornn disabled. Worlds 2017 Merch Now Available!